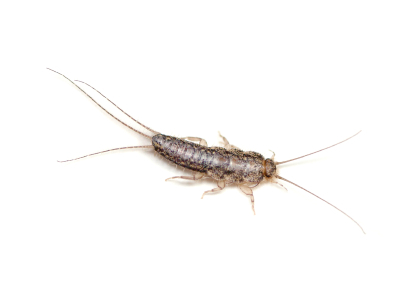 Silverfish Prevention in San Diego County requires the control of moist or wet areas by repairing leaky pipes and drains and eliminate or repair any moldy or wet wood. Old books, magazines, and other paper products (silverfish choice of foods) are best kept out of areas where silverfish are usually found like basements, attics and garages. It's also important to keep food items such as flour and sugar in tight containers.